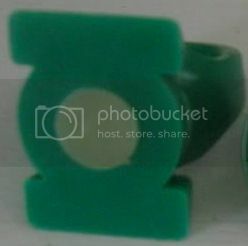 Green Lantern Mosaic Now available!!! 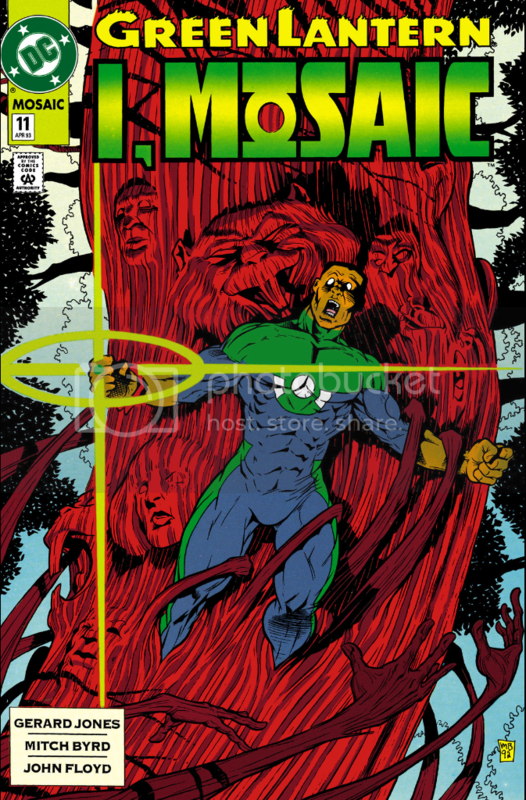 Note on #4: John Gives the Mosaic Kids power rings in this issue This might be why they decided to offer to the readers. Last edited by Lantern2814.20850; 02-03-2013 at 03:22 PM. This entire series need to be collected in trade form! Thankfully I have every issued collected. So I could care less if they collect the series in trade paperback form. I just picked up the last issue to this. Was much more expensive than the rest, for some reason. Gonna be reading them soon. Last issue is most expensive because it wraps up the story (duh) and returns the cities home. My copy of #17 should be in my mailbox shortly. Guess I was expecting the first issue to be the most expensive. But I picked it up NM for $1. 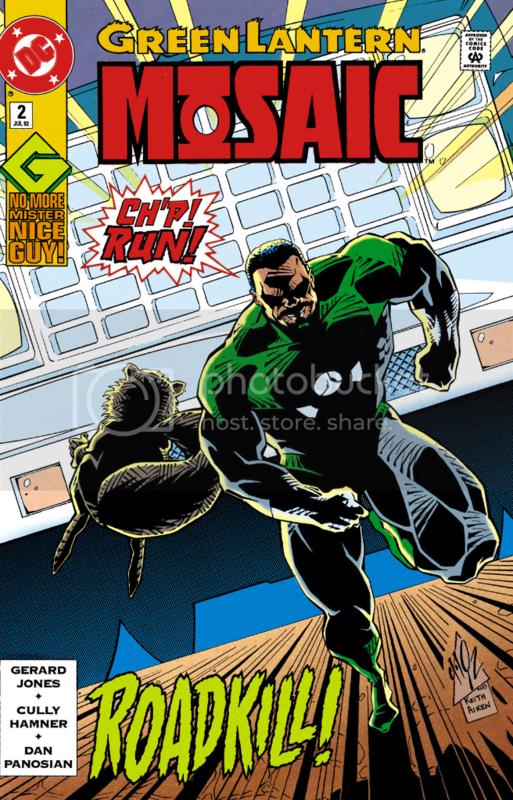 Same with Guy Gardner #1. 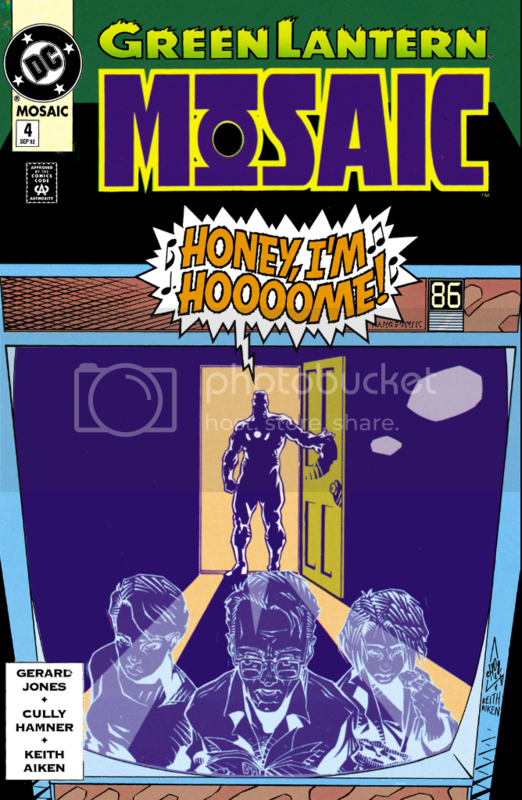 Mosaic #18 VF cost me $8 online, woulda been a lot more from a comic shop. The art was...different. It wasn't my favorite style, admittedly, but I couldn't really say that it was poorly executed, just stylistically unusual. The LETTER PAGES were also something that I enjoyed, because unlike so many other comics, they were perfectly willing to publish and respond to letters that weren't glowing praise. Don't know if those are included in the digital editions. It just seemed like they were trying to be way to different and thats what made me not like it, I was a young kid when I first read it and I feel the same now after reading it many times, I really tried to like it but I just dont feel it. I've no idea how much credence to give that. I believe it. 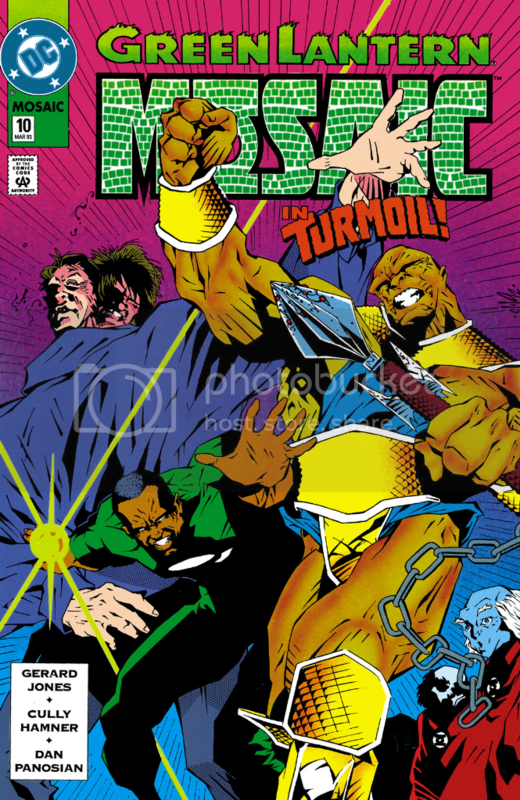 GLM was definitely a "thinking fan's" book (and I hate that term). However, intelligent mainstream comics were out of style back then, and definitely out of style now. 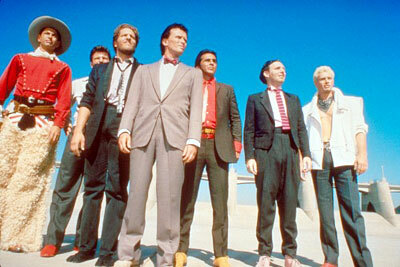 I wouldn't say completely out of style, just out of style with the two bigs in their superhero universes. 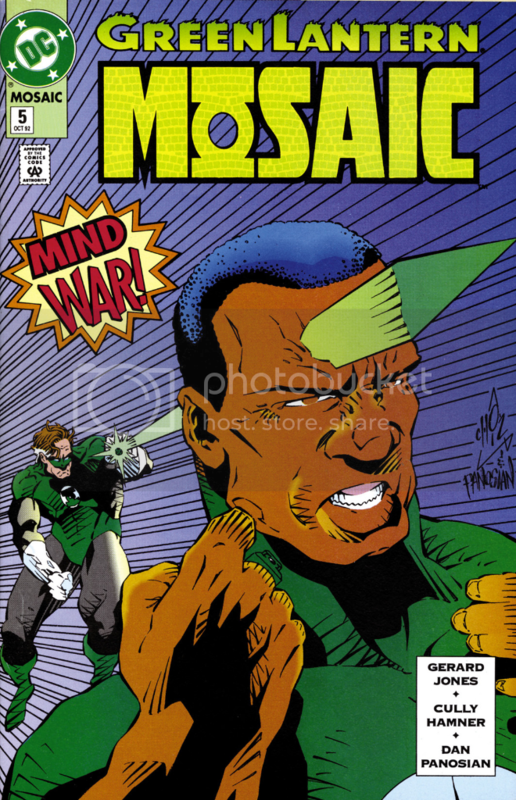 I wonder, if Vertigo had been around when Mosaic started, if they would have considered putting it under that imprint. Probably not, since they seemed determined to keep the Vertigo and the main DCU separate for the most part. 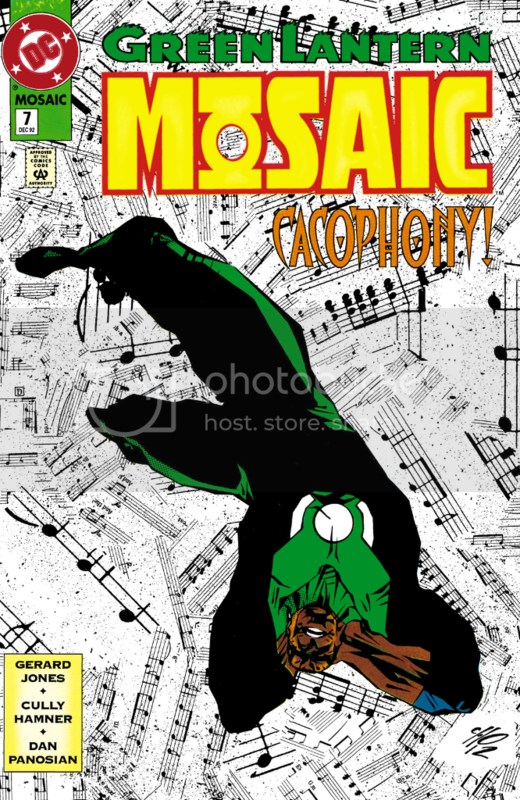 A couple of months ago, I purchased the entire Mosiac collection on eBay for like $25 with bags and boards. Upon receipt, I thumbed through the first issue, but never made time to read. I'll have to do that one of these days. The art style is definitely... different. Have yet to read this series. I'm almost at the entry point though. I'm at Vol3 issue #21 in my reading list. 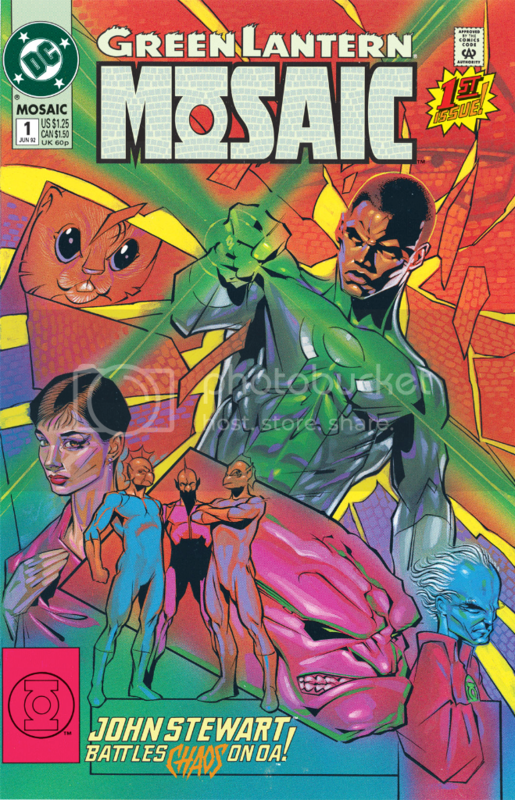 I did read issue #14 which I picked up in the dollar bin at an expo. What a funny issue! The writer really captured the pyschedelic bad trip here. That's another thing that makes GL stand out to me. It's got a bit of a counter-culture undercurrent to it. Not lately it doesn't, but when you dig into GL history, there is definitely more bits of truth than most bland/generic comic series. 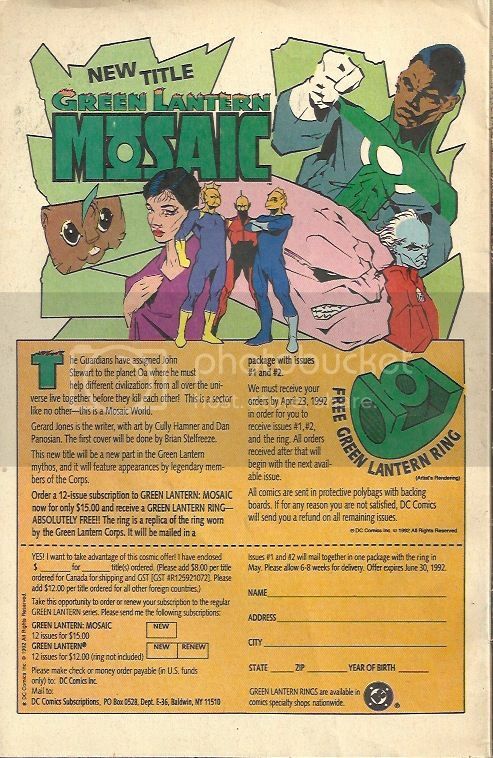 They told Gerard Jones that Mosaic's sales were good but that it was being canceled because Kyle was going to be the only Lantern. 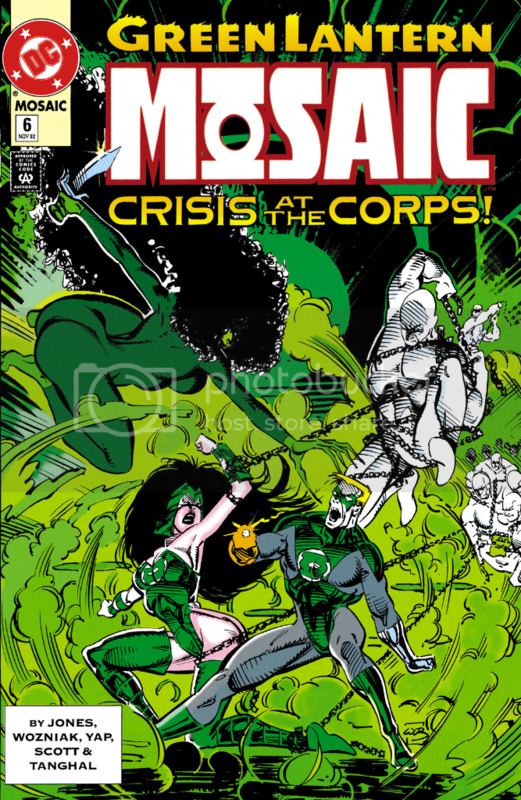 Same thing for the Green Lantern Corps Quarterly. Both were books sacrificed to make Kyle special. 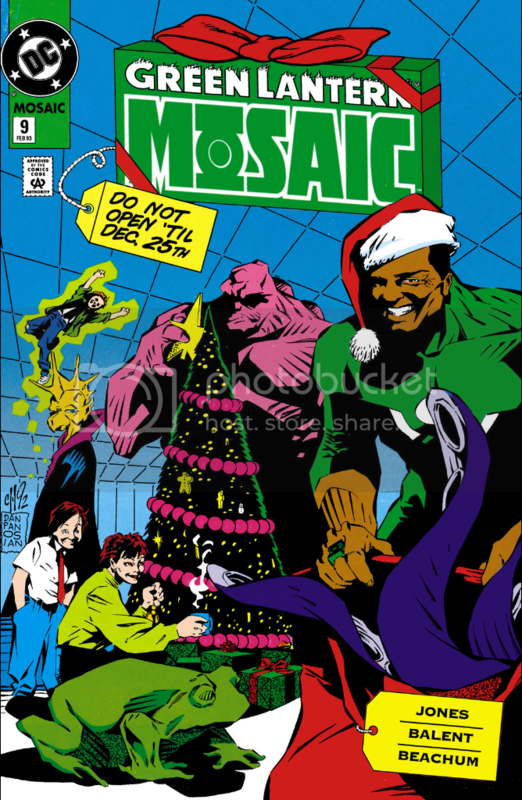 Mosaic was supposed to run for 24 issues but they ordered Jones to wrap it up early. I think it should be brought back as an ongoing, but with normal art. Last edited by Trey Strain; 04-01-2014 at 02:15 AM. Please don't don't, not another Lantern book! This is true of GLCQ, but not Mosaic. Mosaic was cancelled well before Kyle had even been created. 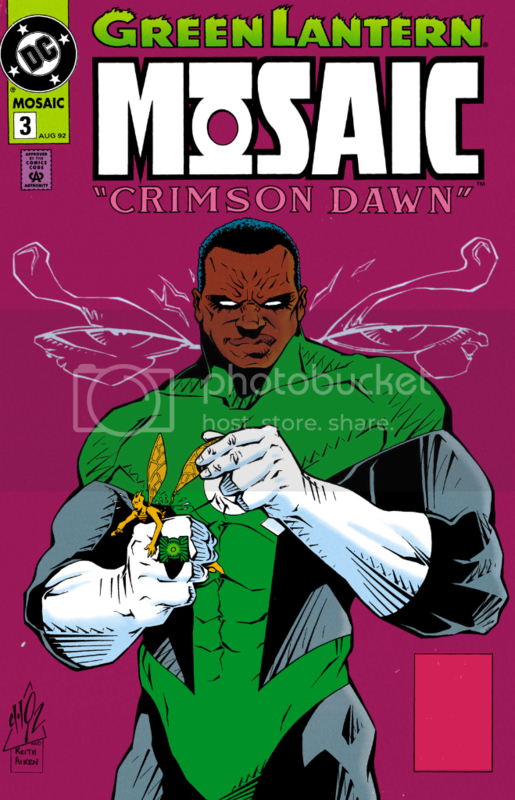 When Mosaic was cancelled, Marz hadn't even been brought on to rewrite Emerald Twilight yet, so Kyle's "there can be only one" status would not have played a role. Wasn't the GLCQ sales in the toilet, too? I've always thought that should've been a monthly book, with one story per issue. I think it would've done well that way, and could've continued past Kyle's introduction with historical GL tales (which they did in various miniseries throughout the Kyle era, anyway). I would've been game to any method of saving GLCQ. That was one of the series cancellations I was most depressed by. Nope. It was decided that Hal was to be junked, and Jones agreed with that idea. He thought that Hal carried so much baggage from the past that he couldn't write Hal. Jones wrote a TERRIFIC script for Emerald Twilight that Kevin Dooley rejected on the grounds that it wasn't shocking enough. And Dooley made the very poor decision to fire Jones and bring in Marz to replace him. Jones wanted Mosaic to run its course and argued with the higher-ups but lost the argument. And it was stated in the GLCQ lettercol that the sales of comic were good but it was being canceled because of the new direction. So Kyle has ALWAYS been a special snowflake. There should be five Lantern titles. Green Lantern, The Green Lantern Corps, Emerald Flame, Lantern Academy and Mosaic. Better a "special snowflake" than beating the same generic drum for decades. Let me have him and put him in Lantern Academy. Like I said, you are correct about GLCQ. But Mosaic's cancellation pre-dated plans for Kyle. According to Cully Hamner, it was marked for cancellation when issue #5 came out, and they gave Jones a year to wrap it up. It ran June 1992-November 1993. ET didn't come out until January 1994, and as you correctly mention, it was a last minute change from Gerard Jones' script (so late, in fact, that the first issue of Jones' ET was actually solicited, and the title missed a month while the scrambled to replace it). 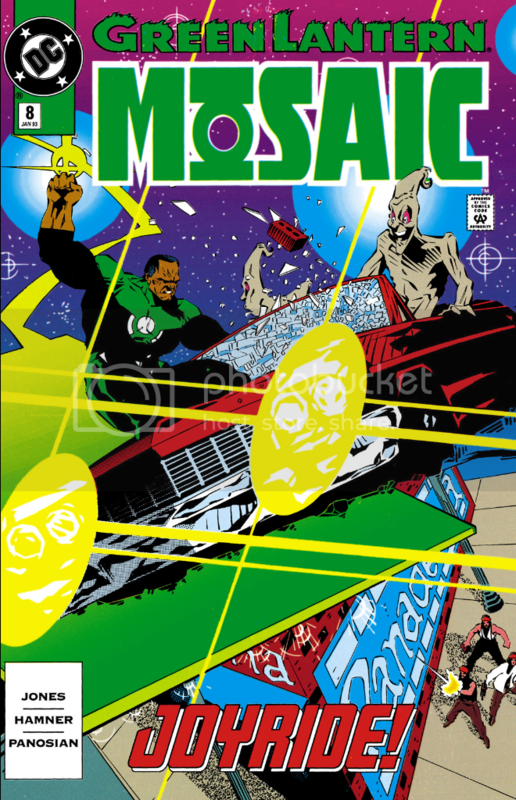 There is NO WAY at all that Mosaic's cancellation had anything to do with Kyle, because it was cancelled WELL before Marz was even brought on to create Kyle. Last edited by Mister Ed; 04-01-2014 at 02:19 PM.